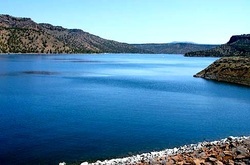 Central Oregon is home to many great bodies of water that can accommodate a wide range of water sport lovers. Whether you are vacationing in Bend, Sunriver, Lapine, Prineville, or other great Central Oregon area, you are just a short drive away from your next boating excursion. Didn't want to bring your ski boat or jet ski with you on vacation? Well don't worry! Central Oregon Rentals llc will have you cruising the lake in style. 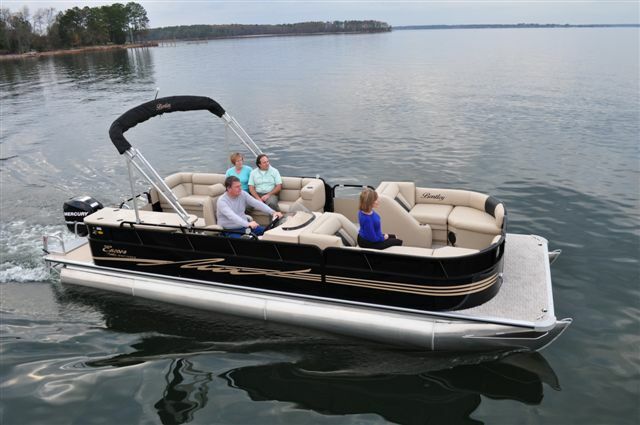 They provide newer fuel efficient, fuel injected 1100cc waverunners, 18' - 19' Ski boats with wake towers, and a brand new 2013 24' Encore Bentley Ski Pontoon boats as well. All safety equipment is included with your water sport rental. Want to record your water sport adventure? Central Oregon Rentals also rents out waterproof HD Hero 2 cameras so you can capture your vacation in high definition. 1100cc fuel injected, fuel effiecient engines! 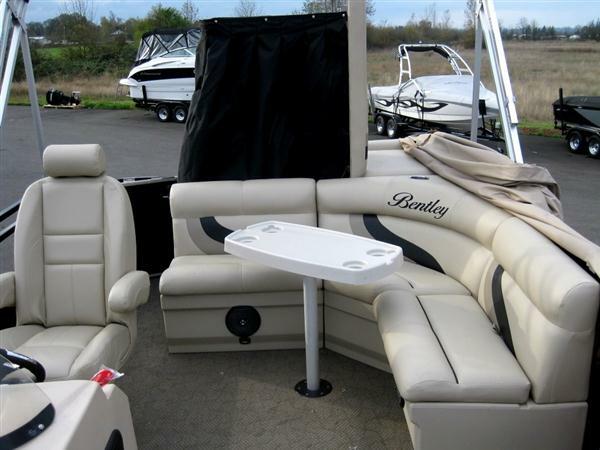 Deluxe 3 person seating with plenty of power and for pulling a tube or kneeboard! Great stability and agility for the ultimate water sport experience. All models come with reverse for easy smooth docking and safety! Click here or on the pictures for Central Oregon Rentals website. The ultimate in luxury boating. 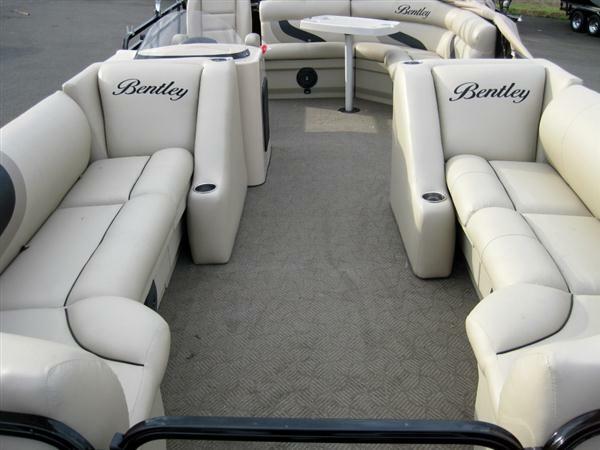 Relax on a 2013 24' Bentley cruise ski pontoon boat accommodating up to 16 guests and set in motion with a powerful, fuel efficient, Mercury 115 hp 4 stroke EFI engine. 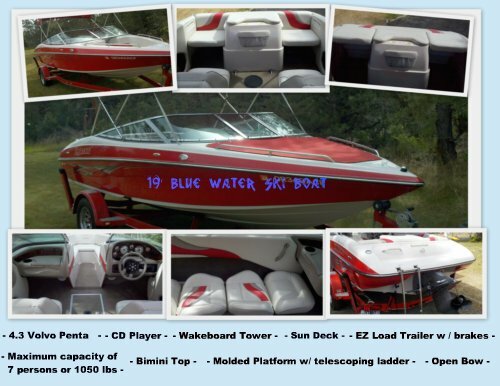 This ski pontoon boat comes loaded with pop-up changing room, removable table, AM/FM CD stereo, bimini top, cover, ski tow, and a custom trailer to get you to your lake or reservoir of your choice. Reserve your ski pontoon rental with Central Oregon Rentals in Bend, Oregon today! Check out the latest watercraft deals on our Daily Deal page! Here is a list of many waterbodies that accept motorized boats. Some have restrictions so read through carefully. Slow-no wake for motorboats within 200' of shore, designated swimming area, and posted area around boat landing and ramp. 10 mph speed limit for motorboats. 10 mph speed limit for motorboats during legal fishing days and hours. Towing of water skiers and other towed devices prohibited. Motor prohibited: between Deschutes National Forest boundary and Jefferson County line including Mirror Pond in Bend; between La Pine State Park and Pringle Falls; between Aspen Camp boat ramp and north end of Lava Island. Slow-no wake, maximum 5 mph speed limit for motorboats between Wickiup Dam and Deschutes National Forest Boundary. 5 mph speed limit for motorboats from the Forest Service boundary upstream to the north end of Lava Island. Slow-no wake, maximum 5 mph for motorboats within signed western and southern cove buoy lines. 10 mph speed limit for motorboats: Crooked River Arm above Crooked River Bridge; Deschutes River Arm above Deschutes River Bridge; Metolius River Arm 1,000' upstream of Street Creek. Slow-no wake, maximum 5 mph, within buoyed areas: Cove Palisades State Park marina; Crooked River boat ramp; Chinook Island Cove (Metolius Arm); Camp Perry South cove (Metolius Arm); Within 200' of designated swimming area. Beaching, anchoring, mooring restricted: on Crooked River Arm within 200' of east shore between marked area north of Cove Marina and Crooked River Bridge, and west shore from state park boundary north, approximately 2,000'; on Deschutes River Arm within 200' of east shore between marked area approx. 2,000' north of northernmost ramp and Deschutes River Bridge. Slow-no wake for motorboats within 300' of moorage and extending to opposite shore. 10 mph speed limit for motorboats upstream of a point 0.85 miles upstream of dam. Boating prohibited within tailrace area enclosed by log boom downstream from Round Butte Dam. Mooring and boating prohibited to log boom and between boom and Pelton Dam. Towing of water skiers and other towed devices restricted: to 200' or more from shore, except on "safe" take-offs and landings; to counter-clockwise pattern on take-offs and landings; to take-offs, landings no closer than 45 degrees from shore. No skier pick-ups within 200' of shore. Distances of boats following water skiers must be at least: 300' behind skier; 100' alongside skier. Towing boat's bow must not be crossed within 200'. 5 mph speed limit for motorboats including "safe"take-offs and landings by water skiers: within 200' of shoreline, boat ramp, marked swimming area; within state park boat ramp area; east of orange boundary markers; within the boat rental area cove marked by buoys. 5 mph speed limit for motorboats including "safe" take-offs and landings by water skiers: within 200' of shoreline, boat ramp, marked swimming area; east of orange-marked boundary half-mile west of Owl Creek entrance. Towing of water skiers and other devices restricted: to 200' or more from shore, except on "safe" (see P. ii) take-offs and landings; to counter-clockwise patterns on take-offs and landings. Take-off, landing area restricted to no closer than 45 degrees from shore. 10 mph speed limit for motorboats from 8 p.m. to 9 a.m. PST on entire lake, and from 9 a.m. to 8 p.m. PST outside areas where marked as allowed at west end.